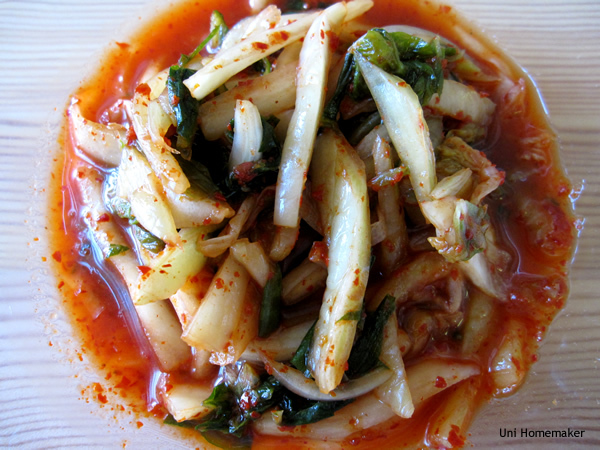 In small bowl combine kimchi, honey, mirin and rice vinegar. Mix well. Not weird at all. Actually, that sounds great over eggs! 🙂 I might have to try that.